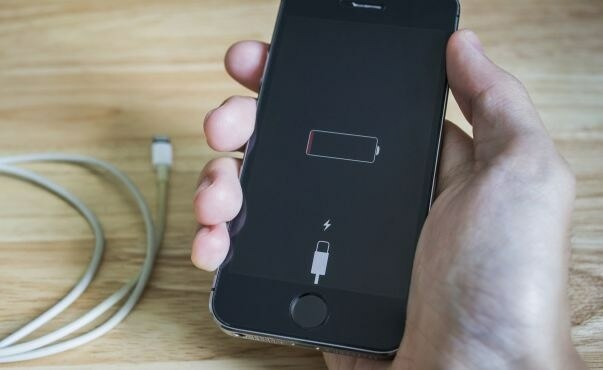 At the University of California, Riverside (UCR) researchers have developed a new silicon-tin nanocomposite anode that could improve the charging capacity of lithium-ion batteries, which can be charged and discharged many times before they wear out. These types of long-lasting rechargeable batteries could be used from portable electronic devices to electric vehicles. A paper describing the research, titled “Tin Nanoparticles as an Effective Conductive Addition in Silicon Anodes,” was published on Aug 3, 2016, in the Scientific Reports journal. Lorenzo Mangolini, an associate professor of mechanical engineering and materials science and engineering in UCR’s Bourns College of Engineering, led the project. Lithium-ion batteries are the most popular types of rechargeable batteries used in personal electronics. They are made of three main parts - a cathode, an anode and a lithium salt dissolved in an organic solvent. Although the graphite material is the preferred choice for most anodes, its performance is very limited in enhancing batteries as well increasing their applications. Researchers have been exploring both silicon and tin as innovative, high-performance substitutes for graphite anodes. Mangolini and his team, in the present research, demonstrated for the first time that merging both materials into a single composite could dramatically improve performance of batteries. The silicon-tin nanocomposite, besides increasing the charge capacity offered by the graphite material, offers extreme stability over many charge-discharge cycles, effectively expanding its lifespan. These features along with an easy manufacturing method could help expand the use of lithium-ion batteries in next-generation vehicles. Lithium-ion batteries are growing in popularity for electric vehicles and aerospace applications, but there is a clear need to alleviate range anxiety - the fear that a vehicle won’t have enough charge to reach its destination—before we will see large-scale adoption. Any technology that can help is welcome, as long as it is simple and scalable, and our technology meets both those criteria. Mangolini also stated that the addition of tin to the silicon, instead of different conductive materials like carbon black, would overcome the low conductivity of silicon without minimizing energy storage. “The synergistic effects between these two materials lead to batteries that exceed the performance of each of the two components alone, an improvement that is a result of the high electrical conductivity and good energy storage capacity of tin. This can be achieved with the addition of even minor amounts of tin, as small as 2 percent by weight,” he said. Besides Mangolini, other researchers involved in the research include Lanlan Zhong, a graduate student in materials science and engineering and the first author on the paper; Juchen Guo, assistant professor of chemical and environmental engineering; Chad Beaudette, an undergraduate in mechanical engineering; and Krassimir Bozhilov, associate adjunct professor of materials science and engineering and manager of UCR’s Central Facility for Advanced Microscopy and Microanalysis. A patent application on this research work has been filed by the UC Riverside Office of Technology Commercialization.